Gabriel isn’t murdering anyone―he’s saving them. The media has dubbed him the Seraphim Killer. 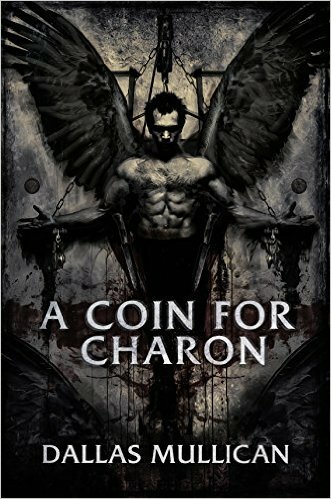 He believes the gods have charged him to release the chosen, those for whom life has become an unbearable torment. Gabriel feels their suffering—his hands burn, his skull thunders, his stomach clenches. 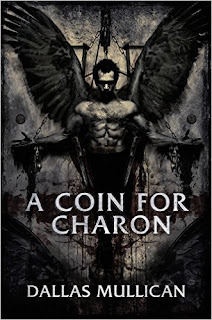 Once they are free, he places coins on their eyes to pay Charon for passage into paradise. Detective Marlowe Gentry has spent the past two years on the edge. The last serial killer he hunted murdered his wife before his eyes and left his young daughter a mute shell. Whenever she looks at him, her dead eyes push him farther into a downward spiral of pain and regret. He sees the Seraphim as an opportunity for revenge, a chance to forgive himself―or die trying. Gabriel performs the gods’ work with increasing confidence, freeing the chosen from their misery. One day, the gods withdraw the blessing―a victim he was certain yearned for release still holds the spark of life. Stunned, he retreats into the night, questioning why the gods have abandoned a loyal servant. Without his calling, Gabriel is insignificant to the world around him. He will do anything to keep that from happening. One word for this book is WOW , I can not believe that this book is this authors debut novel. I was blown away with the way the author tore at my emotions. There hasn't been an author in awhile that has taken me to the pits of hell and pulled me back out. This book will leave you in a big puddle of emotions . Trust me I cried , I was disgusted and I even let out a chuckle or two and then there was the night I couldn't sleep , well you will have to read the book to find out. I must say this book is very well written and the writer takes us on such a journey. The plot is well developed and the characters are so complex. You will be sucked in by the end of chapter one. I was reading well into the night. This book will make you think. What would you do if placed in the situations these characters are in ? How would you change the circumstances if you could? Trust me you will be so engrossed in the characters and the story will blow you away . If this is his debut novel I can't wait to read the other books he will write. So if you want to be blown away by a book check it out . You will not be disappointed.